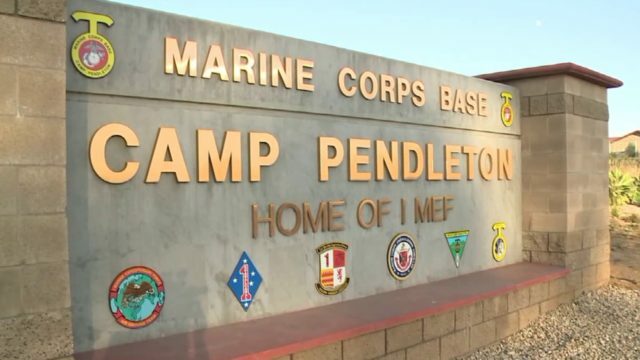 Camp Pendleton and Naval Base San Diego have among the highest rates of sexual assaults reported to the military among Marine Corps and Navy bases worldwide, according to a Department of Defense report released Friday. There were 642 reports of sexual assaults made at Naval Base San Diego between the 2013 and 2016 fiscal years and 624 reports made during that time frame at the Marine Corps’ Camp Pendleton. Camp Pendleton had the second highest number of assaults reported at Marine Corps’ installations after Camp Lejeune in North Carolina, which had 634 in those three years. The number of reports made at Naval Base San Diego also ranked second in the world among Navy bases after Naval Station Norfolk in Virginia, which had 1,055 reports. The document fails to offer context of the number of reports made relative to the size of the base. For example, military data shows Camp Lejeune has 4,447 housing units compared with Camp Pendleton’s 6,880, though Camp Lejeune had a higher number of reported assaults. Not included in this report is allegations made against a spouse or intimate partner or ones in which the victim is a child of a service member, according to the report. The number of incidents reflects those reported to base staff during a given year. The actual incidents may have occurred at any time and may have occurred anywhere, not just on or near the base. The military estimates that reporting of sexual assaults has increased dramatically in recent years. Prior to 2014, 15 percent of assaults were reported. In 2016, it estimates that 32 percent of assaults were reported. — Marine Corps Recruit Depot, San Diego: 103.